Many women dream of the day they have their chance to walk down the aisle. From an early age, some of us play dress-up with veils and tutus – maybe even tiaras and clip-on earrings. Culture conditions most of us to expect this particular “destiny” from day one: to marry a man and become a mother. Some of us imagine this day many times throughout our lives, but, all expectations, fairy tales and stories dull in comparison to the moment we’re actually walking down the aisle and seeing our soulmate waiting at the end of it. Nothing else matters. But what makes all the magic in that moment – walking down the petal-scattered aisle, come alive for a bride-to-be? Well, a professional hair and beauty team have more than a little to do with it. Kim Coleman and her team at Vanity Salon act as a bride’s ultimate best friend in helping the bride manifest her best self for this special day. 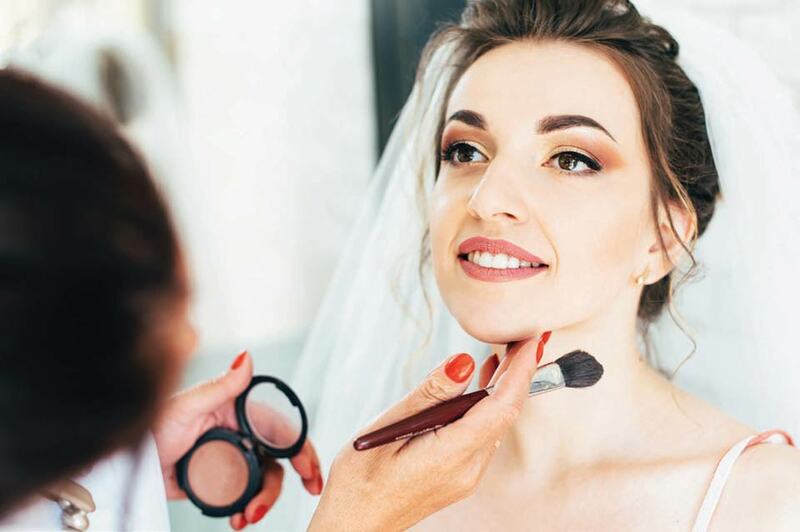 Vanity Salon’s bridal services offer a variety of assets meant to make a bride feel the most beautiful while also feeling the most like herself. 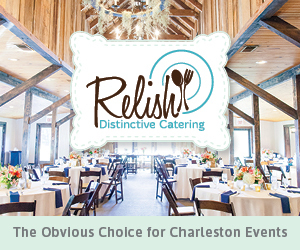 “We have a good team that does so many weddings … somewhere between 200 and 300 a year. We are comfortable with what we do and know how to work with all the emotions on the wedding day,” Coleman stated. And Charleston sees a lot of weddings! This historic city is a big destination wedding location, with its premier outdoor venues, subdued beaches and traditional churches. 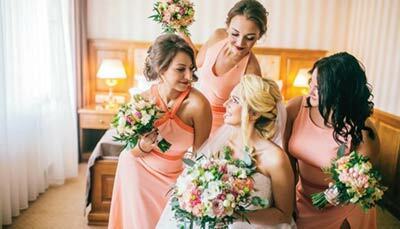 From hair styling, airbrush makeup, eyelash and hair extensions, to spray tans, blow-out bars, waxing and facials – Vanity Salon has every bride and bridesmaid covered. When it comes to makeup, most brides Coleman sees prefer to go with the natural look for the wedding day. That’s why Vanity Salon loves the airbrush approach – it’s natural and looks flawless in any setting. It breathes, and it works in the Charleston climate. Although most of the weddings Coleman works with are set in Charleston, preferred hairstyles vary based on wedding venues; whether that be a historic church, the beach, an exquisite hotel, a plantation or a club. Charleston can easily go from classic to beachy. The most frequent hairstyles brides tend to go for are an upstyle with a few long, loose curls. These upstyles can be beachy bohemian, classic French twists or simple buns. The Vanity Salon magicians can transform a girl’s hair into just about any intricate hairstyle within 30 to 45 minutes. “We are good, experienced stylists. There’s usually not many styles we aren’t capable of doing as long as it’s within realistic expectations,” stated Coleman. With that said, one of Coleman’s key pieces of advice to a bride for this special day is to prepare herself with hairstyle ideas for trial day. Bring two or three pictures with you. Get an idea of who you are and what you want to look like on your wedding day. “The wedding day is the day for the bride to relax and get married. Trial day is when she has the chance to plan and try new things. It’s for her to see how she looks for the wedding day, not for me to practice. Go somewhere and celebrate the hair after trial day. Go to dinner with your girlfriends and see how the hair holds up all night. The same goes with makeup,” stated Coleman. Be sure to bring hair accessories if you want to try them. The wedding day is actually less stressful and more relaxing this way – the bride will already be familiar with the plan. “It’s her moment to sit there and be pretty. Give her a minute to breathe. If she wants to be surrounded by bridesmaids and friends, you can tell. We do everything to make the bride feel amazing and everything she wants to be on this special day,” Coleman said. With 200 to 300 weddings a year, each wedding party consists of an average of about six to 10 girls. This means Vanity Salon does at least a few up-dos annually. Some of the main products used on wedding parties are a combination of a couple of hairspray bottles a week, texture spray, dry shampoo and lots and lots of bobby pins. A girl carries an average of 25 bobby pins in her hairstyle on this special night. 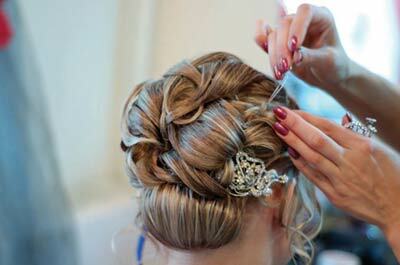 With something around 10 girls per a wedding party, 300 bobby pins are used a session! According to Coleman, the best part is simply being involved in the bride’s special day. “We feel like one of the girls there! We do the hair, makeup, we give advice and we listen to you,” she said. What more could a bride ask for in an ultimate best friend on her wedding day?